We are so excited to announce our new Pretty Brown Girl T-Shirt Fundraiser Program! Ranked by NBC News as one of the top seven organizations dedicated to empowering girls, Pretty Brown Girl’s mission is to encourage self-acceptance by cultivating social, emotional & intellectual well-being. The Pretty Brown Girl (PBG) T-Shirt Fundraiser Program was designed to help anyone 18 years of age or older raise funds for their Individual causes or Group (i.e. schools, organizations, girls group, cheerleading and sports teams, dance studios, churches, daycare, etc.). This is also a great opportunity for girls to showcase their entrepreneurial spirit, while encouraging self-acceptance and developing leadership skills at an early age. 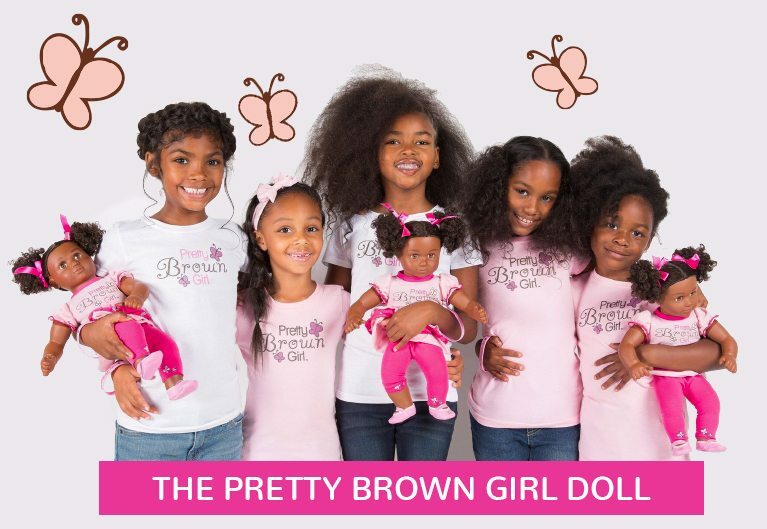 The PBG T-Shirt Fundraiser offers our signature Pretty Brown Girl T-Shirts in three colors (Pink, Brown and White) and 12 different size options to choose from for only $20 (plus-sized shirts are $25). We also offer our Rhinestone Black Pretty Brown Girl T-Shirt in 6 different sizes for only $30. An added benefit is that each shirt sold earns a $6 profit! You can easily register online below to start a Fundraiser! If you have any questions or would like to speak with us directly, please call us 1-800-514-8559 or email us at info@prettybrowngirl.com. Thank you for your support! If you are looking to start a Fundraiser as an Individual, please click the button below to complete our interest form. If you are looking to start a Fundraiser for a group, school or organization, please click below to complete our interest form.